From its name, you can guess that this place specializes in Thai dishes. We haven’t really been to plenty of Thai places, but most of the times we did, we had a pretty good experience. We decided to order both dishes we are familiar with and dishes that are new to us but sounded good on the menu. We ordered their Thaipan Selection Appetizer (350 Php), which offered both stuff we know and don’t; Tom Yung Kung (145 Php), which is something we know of only phonetically different; Stuffed Cabbage Roll with Ground Pork (230 Php), which is new to us; and Phad Thai (310 Php), which is basically our cornerstone for Thai restaurant critique. 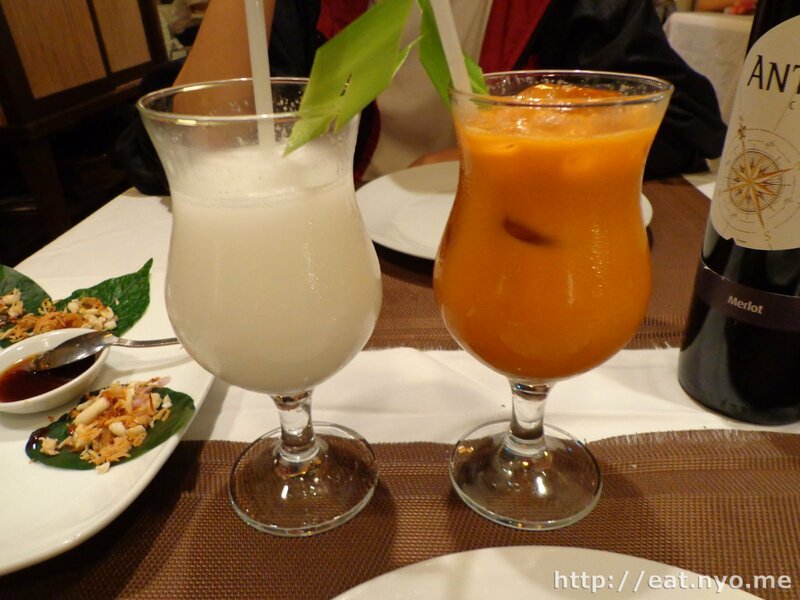 We also ordered their Thai Milk Tea (95 Php) and Thai Mango Coconut Smoothie (110 Php). The place was packed and some of our orders got mixed up with other tables. Understandably so, because they had literally more tables to cater since most of their patrons were couples. Anyway, my drink got mixed up with their** Coconut** Smoothie. Beloved still got her Thai Milk Tea, though. I didn’t mind replacing mine since I thought it was pretty good. Beloved liked her drink as well. We also inadvertently received an entire platter of their Grilled Pork wrapped in Betel Leaves, which is supposed to be part of their selection appetizer. We returned it after tasting a couple and realizing the mistake. 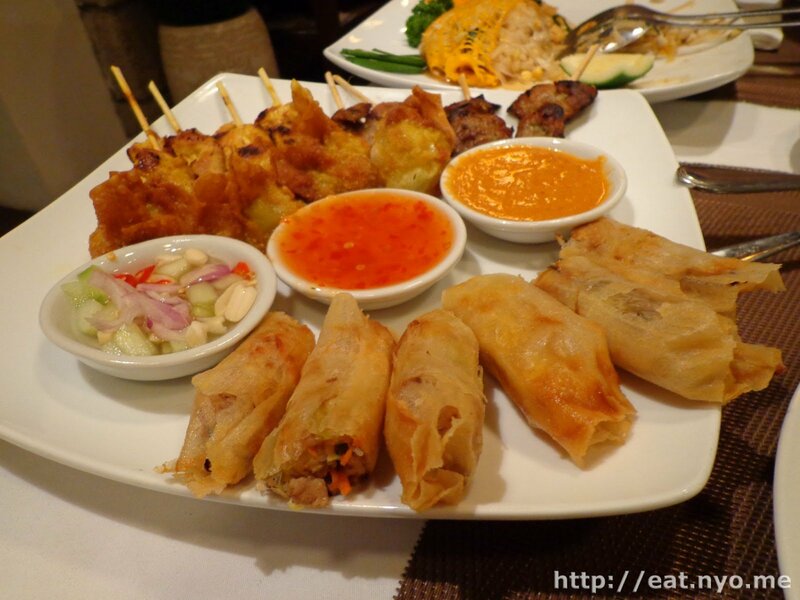 The rest of the Thaipan Selection Appetizer consist of Deep Fried Spring Rolls, Chicken Satay, Crispy Shrimp Pastry, and Grilled Pork Skewers. 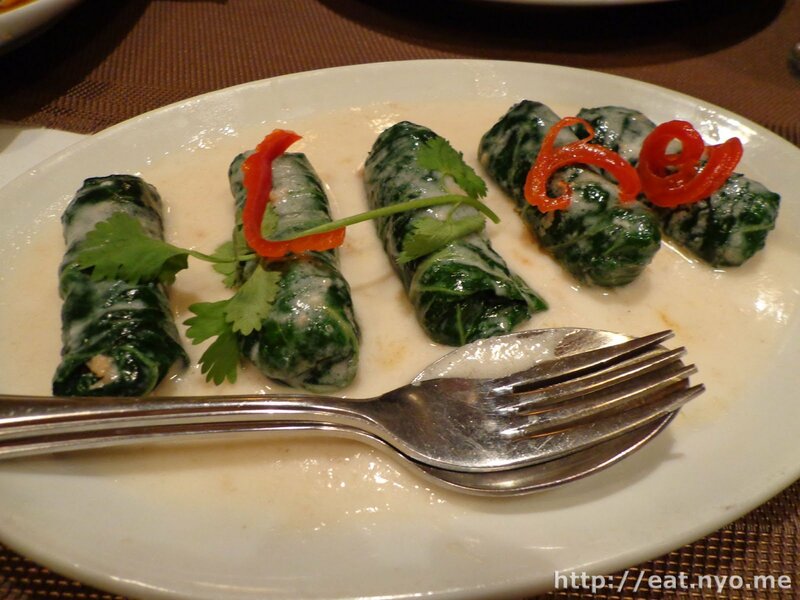 The one with the betel leaf was… strange. It had a very strong aromatic flavor coming from the leaves, and Beloved had a funny face while eating it. The server explained that the spring rolls were meant to go to the sauce in the middle, which was a sweet and sour one. I found it a bit oily, but taste-wise, it was pretty fresh, despite being fried. Beloved doesn’t really like Chicken Satay, which she finds the combination of peanut sauce, which it is marinated in and dipped in, strange, although she likes both of them separately. We both enjoyed the crispy shrimp pastry, as the shrimp had a lot of shrimpy goodness in it. The pork skewers could’ve used a bit more flavor, perhaps a bit less charring, but it was okay. Dish of the night award goes into the new dish we tried out. Their Stuffed Cabbage Roll with Ground Pork was amazing. These albeit bite-sized cabbage rolls were filled with the advertised ground pork which went well with both the cabbage and the milky, creamy sauce it was on. I’m guessing this is some coconut-milk based sauce, but whatever it was, the star of this dish was the amazingly juicy ground pork the dark leaves contained. 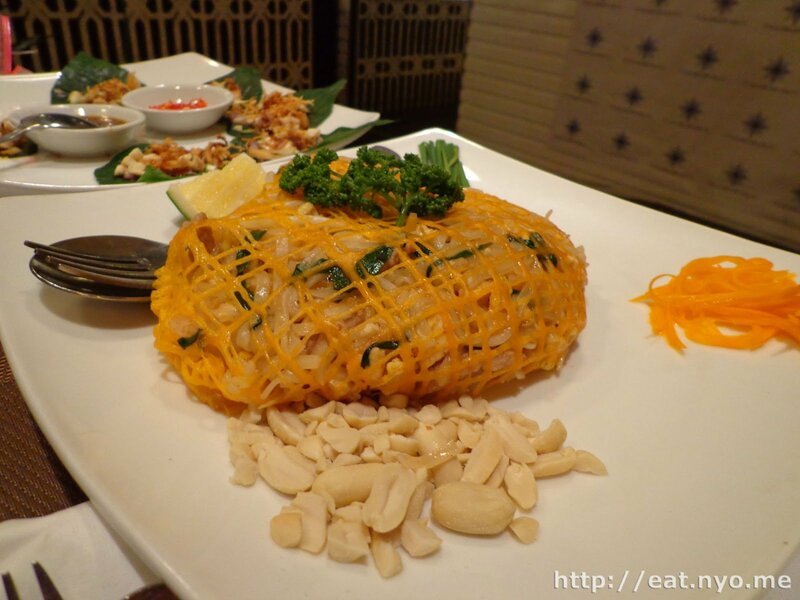 Their Pad Thai was wrapped in egg netting which we found in most other places that serve Pad Thai. There was plenty for two, maybe three, in this plate. It had the usual ingredients—rice noodles, shrimp, bean sprouts, peanuts, tofu, and strips of meat, the last one, I guess, isn’t really usual. Two things that stood out were the tofu and shrimp. The former had a very strong flavor, making it taste almost like cheese. The shrimp was the best part of the dish. Although small, they tasted very fresh and packed full of flavor. I guess this is the most flavorful pad thai we’ve tried when talking about the individual ingredients. Even the noodles had absorbed some flavor in its own. It’s not necessarily my favorite, since some of the flavors didn’t jive for me. Despite some hiccups due to mixed orders, overall, I guess it was a pretty good stay. I had a late snack before coming here, so we weren’t able to consume everything given to us. Luckily, as with almost all sane food places in the Philippines, they allow leftovers to be taken home. This place is not the best value Thai place we’ve eaten, but all of their dishes were among the best tasting. Despite our bill amounting to almost 1.4K Php after service charge, due to happy palates and stomachs, Beloved having an even more wonderful experience due to the interiors of the place, and a delicious Valentines midnight snack to go with it, Thaipan was definitely worth the try. Location: Dr. Lazcano St., near Tomas Morato. 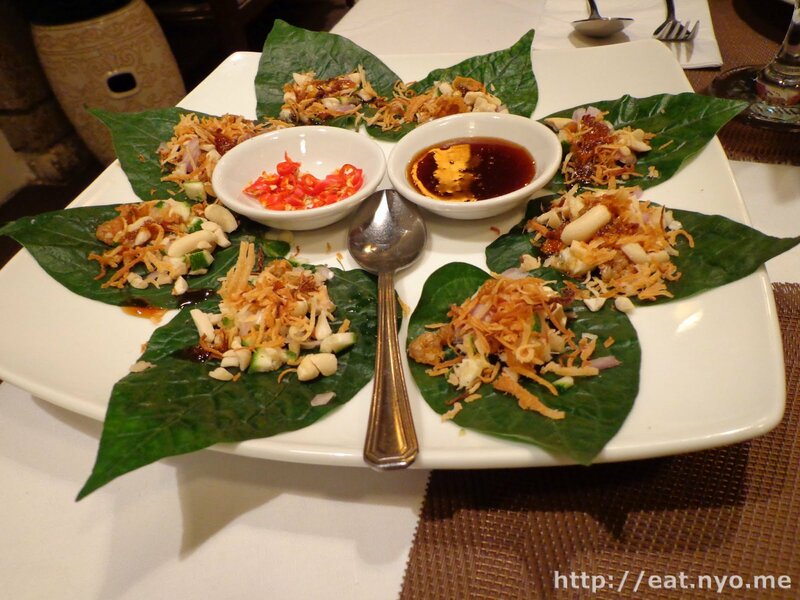 Recommended for: Thai food lovers. Not recommended for: Thai food haters. Smart nomnomnom tip: Watch out for falling flowers.